Communication: This, above all else, is critical to providing any quality level of service and successfull project. We keep our customers up-to-date with work progress, preparation-work being performed, material selections, safety hazards, or any other component of the project which our customers and ourselves deem important. Punctuality: From the free quote consultation, through the daily painting operations, to the close-out walk-through, we will be on time, every time. Detailed Quotes: Our quotes are broken-down by individual line items to help you understand and evaluate the costs and labor hours involved with a particular scope of work. This service should not have to be a special request, that is why this is a standard for in our company. Employees / Insurance: Employees are prescreened for criminal history, go through a multi-step interview process and crew establishment process. We provide workers compensation, general liability, auto liability, and crime bonds to ensure our customers are always comfortable and free of risk. Warranty: Upon completion of our projects, we extend a 1 or 2 year labor warranty for the items completed. This labor warranty supplements the material warranty provided by the manufacturer. 3-3-3 Pledge: This was created so that we could provide the highest quality of customer satisfaction possible. We want to be your painters for life, and we do that by honoring this pledge. 3 Minutes: We pride ourselves on our quality customer service. Your call will be answered within 3 minutes. We are available 7 days a week, 24 hours a day for questions and service information. You will always speak to a live person first – never an answering machine - because we understand the importance of a personal touch. We know our customer's time is valuable, so the call will be answered promptly. 3 Days: Once a customer has requested a quote, we will do our best to have it completed and delivered within three days, customer's schedule permitting. We will deliver your firm, fixed quote quickly so we can get started on your painting project. 3 Weeks: Once a customer has accepted our quote, we will begin painting within 3 weeks - and we'll start and finish on time, every time. No need to stress about when and how the project will get started and completed. 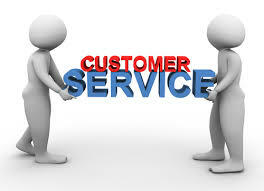 We work around our customer's schedule, and determine together, what is convenient for our customer's.